Welcome to this SPECIAL HALLOWEEN EDITION of The Theme Park Duo Podcast! 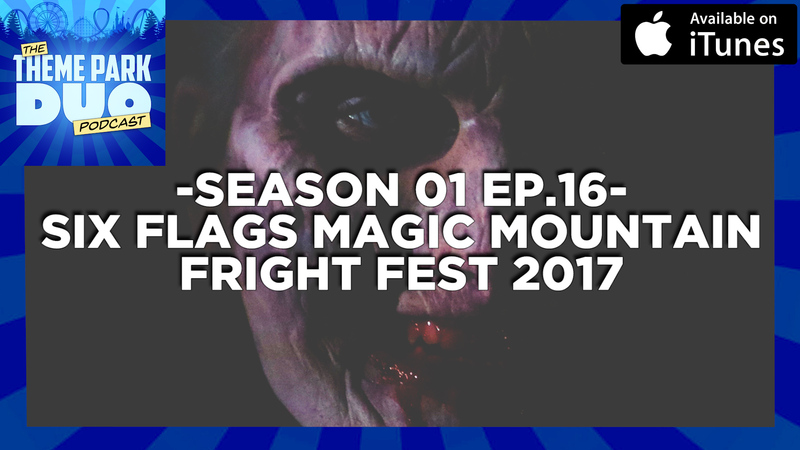 On this weeks episode we chat everything Six Flags Magic Mountain Fright Fest. With more days to get scared than every before, there is no reason to miss out on Fright Fest. Located in Valencia California, not to far away from Los Angeles; Fright Fest boasts 7 mazes, 6 Scares Zones and 2 Shows!. Not to mentioned that you get to ride some world class roller coasters in the dark like: Twisted Colossus, Batman, X2, and Full Throttle. With so much to do at this years events, hear what we thought about all the scary happenings!